We have arrived at the day for which we have been preparing for the last 40 days. It is Easter Day, the day of Resurrection, the day when we remember and celebrate the fact that the women went to the tomb and found it empty. And yet, despite the season of preparation, despite our disciplined efforts to make room for God in our lives, despite the fact that we have been looking forward to this celebration for weeks, we may still feel unready. We may still feel unprepared for this celebration, because the Resurrection challenges our assumptions and transforms the way we look at the world. Even as we celebrate the fact that Christ has been raised from the dead, we may have lingering doubts. After all, people do not rise from the dead in our experience. In spite of all our preparation, we may feel unready to proclaim that Christ is risen. We are not the first people to have these doubts. Luke’s gospel tells us that the women went to tomb early in the morning, only to find the stone rolled away and the body of Jesus gone. After two men in dazzling clothes asked why they were looking for the living among the dead, the women rushed to tell the apostles, who dismissed it as “an idle tale.” This word that Luke uses can also be translated as “foolishness” or “nonsense.” For the apostles (and probably for the women who went to the tomb), the idea that someone could rise from the dead was ludicrous. First-century Jews knew just as well as twenty-first century skeptics that people do not rise from the dead, that death is the end of the story, that talk of resurrection is nonsense. The apostles had the same doubts that many of us have. The tomb may had been empty, but that doesn’t mean that Jesus’ followers were ready to proclaim that Christ is risen. Nevertheless, even as the apostles dismissed the women’s story as nonsense, one of the apostles ran to the tomb to see if it was true. I can only imagine what Peter’s inner monologue was like as he rushed to the place where Jesus had been buried: “This is so stupid. Those women must have been seeing things. Maybe the gardener was messing with their heads. Anyway, there’s no way that Jesus’ body is gone. There’s no way that he rose from the dead. Things like that just don’t happen.” Peter was among those who confidently dismissed the very idea of resurrection, and yet as he approached the tomb, doubts may have crept into his mind. What if the tomb was empty? What if he really had risen from the dead? Luke’s gospel provides a wonderful detail: as Peter arrives at the tomb, he has to stoop to look inside. As he approached the tomb, he had to slow down and pause at its entrance. He had to take a deep breath and stoop to peer into the gloom, terrified of what he would (or wouldn’t) find. 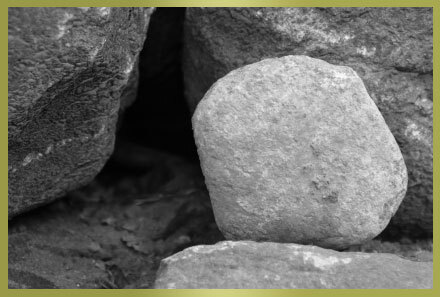 Even in the midst of our doubts, even in the midst of our confident belief that the very idea of resurrection is nonsense, Easter challenges us to take a deep breath and stoop to peer inside the empty tomb. We may look to satisfy our morbid curiosity, we may look to prove our skeptical neighbors wrong, we may look because we are desperately in need of God’s promise of new and abundant life. Whatever our motivation, Easter challenges us to look for new life even in those places that have known only death and despair. We may have our doubts, but Easter challenges us to look past our doubts and embrace the possibility of resurrection, the possibility of transformation, the possibility that this life can be renewed by the power of God who loves us. When we stoop to peer inside the empty tomb and embrace the possibility of resurrection, we can proclaim to this world that God’s love and faithfulness have the power to transform a world that his enslaved to death and despair. When we embrace the possibility of resurrection, we are given the opportunity to live resurrection lives of love and service to others. Resurrection is more than an empty tomb; it is a promise that the world can be transformed, that the evil powers of this world are no match for the love of God, and that we have the ability to make this world a better place. Even if we are afraid of what we will find when we peer inside the empty tomb, we are called to proclaim the resurrection by working for the transformation of the world. Today is Holy Saturday, the day that we remember the uncertainty that followed Jesus’ death. It is the day that we remember the grief of those closest to Jesus: the sorrow of his mother, the dejection of his friends, and the uncertainty of his disciples. In the liturgy for the day, we say the words of Psalm 130: “My soul waits for the Lord, more than watchmen for the morning.” Holy Saturday is a day of mourning and waiting. Yet it is also a day of routine. It’s striking that in the accounts of Jesus’ burial, a primary concern of those who mourned Jesus was to ensure they observed the Jewish burial customs, that they did the same thing that their ancestors had done for hundreds of years. Even more striking is how careful they are to observe the Sabbath, to take the day of rest appointed by Jewish law, to do the same thing they have done week in and week out for their entire lives. In the face of their grief, in the face of their uncertainty, in the face of the fact that their world had crashed down around them, those who mourned Jesus fell back on their routine, because that was the only way they could move forward. 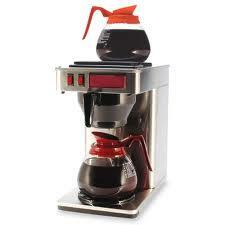 There is a wisdom to routines. In the face of uncertainty and pain, routines can be an enormous comfort. Even as our world crashes down around us, we can cling to our routines and they can sustain us as we carefully move forward. But even as we return to our routines, we must always be willing to be surprised, to be jolted from complacency by a truth that transcends even the grief and uncertainty of this day. In the meantime, we are called to return to our routine, to gather in hope, and to wait for the Lord. Sermon offered to the people of the Church of the Heavenly Rest on Good Friday. One summer while I was in college, I worked in a group home for kids with intellectual disabilities, mental illnesses, and other special needs. Most of the kids were high-functioning teenagers who had a difficult time adapting to mainstream academic and social settings; the group home was a place where they could be themselves. While the work was enormously rewarding, it was also exhausting. Not only were we responsible for all of the normal aspects of raising a teenager: cooking their meals, driving them to school, and making sure they did their homework; we also had to deal with some of the challenges unique to these young people: giving them their medications, supervising their hygiene, and dealing with the occasional catastrophic meltdown. Every day had the potential to be physically and emotionally draining. I remember that at the end of my first day, after all of the residents had finally gone to sleep, the woman I was working with, a veteran of the organization who was simultaneously maternal and tough as nails, handed me a cup of coffee and said, “Enjoy this.” “Enjoy what?” I asked. “The quiet,” she replied. As I savored the bitter institutional coffee, a wave of relief spread over me as I realized that we were finished for the day. The meds had been distributed, the residents were asleep, and everyone was safe. We had done everything we had to do and my coworker invited me to acknowledge that accomplishment. To this day, the taste of institutional coffee reminds me of that sense of accomplishment, the joy and relief I felt when I realized that for at least the next eight hours, all was right with the world, that for at least one night, the work before me was finished. The gospel according to John tells us that the final word of Jesus from the cross reflects this sense of accomplishment. Just before he bows his head and gives up his spirit, Jesus says, “It is finished.” This actually translates a single word in Greek: “tetelestai,” meaning “it has been accomplished,” “the end has come,” or to put it another way, “my work here is done.” In John’s gospel, we do not hear the agonized cry of “My God, my God, why have you forsaken me?” that we hear Matthew and Mark, nor do we hear the deeply comforting affirmation of “Into your hands I commend my spirit” that we hear in Luke. Instead, the final word of Jesus in John’s gospel is ambiguous and a little unsettling. What exactly has he accomplished? There is a finality to “tetelestai,” a sense that everything is taken care of, that there is no more to be done, that everything that needs to be finished has been finished. “Tetelestai” implies that there are no loose ends, that all is right with the world. And yet, even as Jesus uttered this final word of accomplishment, very little was right with the world. As Jesus hung upon the cross, struggling under his own weight, chaos swirled around him. Though those closest to him had promised to stay by his side no matter what happened, his disciples had abandoned, denied, and betrayed him. Though as the Messiah he represented the hopes and dreams of a subjugated and enslaved people, he had been executed as a rabble rouser by a cruel and powerful dictatorship. Though he had affirmed that he was the incarnation of the almighty God, he died a criminal’s death, completely impotent and helpless. As chaos swirled around him, it seems that there could not have been a less appropriate time for Jesus to affirm that everything had been accomplished. The world was falling apart around him, questions were left unanswered, and his ministry seems to have been in vain. Describing his work as “finished” seems to be a cruel joke worthy of the soldiers who mocked him. Just before Jesus gives up his spirit, John’s gospel tells us that he addressed his mother and the beloved disciple, who were gathered at the foot of the cross. As they stood in their grief, gazing at the gasping body of Jesus, Jesus said to his mother, “Woman, behold your son.” To the disciple whom he loved, he said, “Behold your mother.” John goes on to tell us that the disciple took Jesus’ mother into his home from that day forward. Though this is a powerful message of love, an example of Jesus taking care of those he is leaving behind, there is more to it than that. Scholars, for instance, have wondered why Jesus calls his mother “Woman,” which is not something that any of us would have been allowed to call our mothers as we were growing up. While some have argued that “Woman” was actually a term of respect in first-century Palestine, I’m more inclined to agree with those who suggest that Jesus uses this word to recall the creation of woman. 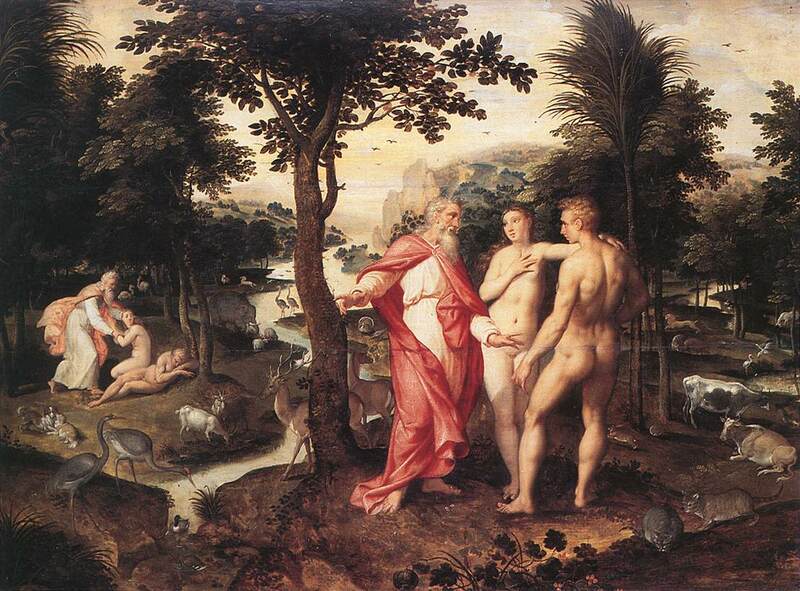 By calling his mother “Woman,” Jesus is bringing us back to Genesis, back to the Garden of Eden, back to the first days of creation when Adam and Eve disobeyed the commandment of God and men and women were estranged from one another. This is the reason that so many important events in John’s gospel, including the arrest and burial of Jesus, take place in a garden. John wants us to remember that first garden, to return to the first moments of creation so that we can understand that God is bringing about a new creation through Jesus Christ. The words of Jesus to his mother and the beloved disciple are words of love and affection, but they are also words of restoration. By bringing these two people together, Jesus heals division, restores human relationships, and repairs what was torn asunder by our disobedience to the commandment of God. By restoring the relationship between his mother and the beloved disciple, Jesus Christ restores all human relationships and inaugurates a new creation, a creation that is no longer subject to disobedience and death, but has been renewed by the self-giving love of God. This is what Jesus accomplishes on the cross. Jesus says, “It is finished” because he has completed this work of restoration; he has finished the work of recreating the world in the image of God’s redeeming love. Even as the chaos swirls around him, there is a glimmer of hope, a whisper of restoration, a quiet promise that God will finish God’s new creation through the Christ who reaches out to us in love from the hard wood of the cross. In a few moments, we will pray for a world that is in chaos. We will pray for a world of geopolitical saber rattling, where countries threaten each other with nuclear weapons and refuse to engage in diplomacy. We will pray for a world of political intractability, where politicians seem unable to communicate or find common ground. We will pray for a world of suffering and affliction, where people are hungry, homeless, and oppressed through no fault of their own. We will pray for a world where hundreds of millions of people do not have access to clean water, where tyrants massacre their people, and where children are killed in their classrooms. In the face of these overwhelming challenges, we might be tempted to throw up our hands in despair, to conclude that there is nothing that we can do to alleviate such suffering. We might be tempted to pretend that we do not care and turn away from those who face seemingly insurmountable obstacles. But if the gospel that is proclaimed from the cross is true, then every act of kindness and generosity is a proclamation of God’s new creation. Every person we feed, every child we comfort, every donation we make becomes a symbol of God’s great love revealed to us on the cross. Not only that, every effort we make to reach out and participate in God’s work of restoration is an opportunity for the whole world “to see and know that things which were cast down are being raised up, and things which had grown old are being made new, and that all things are being brought to their perfection by him through whom all things were made.” Jesus may have finished his work of restoration on the cross, but we are invited to share in that mission. Even as the chaos swirls around us, we are invited to recognize and affirm that there is always a glimmer of hope, a whisper of restoration, and a quiet promise that God will finish God’s new creation though Jesus Christ working through us as we reach out in love to this world that needs it so desperately. At the beginning of the Second World War, Norman Rockwell created a series of illustrations for the Saturday Evening Post called “The Four Freedoms.” Three of the original four images are no longer particularly recognizable, but one has stood the test of time. Though originally created to support the American war effort, the illustration called “Freedom from Want” has transcended its original purpose and has become an idealized image of American family life. 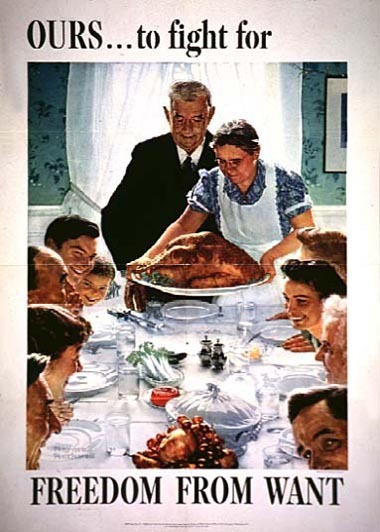 The illustration depicts a smiling family gathered at a Thanksgiving table and filled with gleeful anticipation as the matriarch sets an absurdly large turkey at the head of the table. Everyone seems to be happy and there is no evidence of any animosity among the people seated at the table. Anyone who has ever eaten Thanksgiving dinner with one’s family, however, knows that Norman Rockwell’s idealized depiction of that meal is far from accurate. When families get together, the dynamics can be downright destructive. Family gatherings can be filled with petty jealousies, old grudges, remembered betrayals, and heartbreak. They can make us wish that we were part of a different family, yet the vast majority of us eventually embrace the fact that we are irrevocably connected to our families. Our family meals become reminders that our connection to one another transcends all of the jealousies, grudges, and betrayals that break our hearts. Almighty God, we pray you graciously to behold this your family, for whom our Lord Jesus Christ was willing to be betrayed, and given into the hands of sinners, and to suffer death upon the cross; who now lives and reigns with you and the Holy Spirit, one God, for ever and ever. The implications of this prayer are profound. Remember that Jesus’ own disciples run away when he is arrested and brought before the authorities. It is one of Jesus’ own disciples who denies ever knowing him. It is one of Jesus’ own disciples who hands him over to death. These were the people who were closest to Jesus, those who could be considered his family, and yet they betrayed him, handed him over to sinners, and allowed him to suffer death upon the cross. The extraordinary thing is that they remained his family, that Jesus was willing to experience their betrayal, and offered them a forgiving love that passes understanding. As we participate in the Eucharist this evening, we will participate in a family meal. It is not the idealized gathering portrayed by Norman Rockwell, but a gathering of sinners, betrayers, and deniers. It is a gathering of people who harbor petty jealousies and cling to old grudges. It is a gathering that would break God’s heart. And yet, we affirm that we are still a part of God’s family, that we are still irrevocably connected to a God who was willing to be betrayed for the sake of those who betrayed him. When I was growing up, the television network Nickelodeon had a Saturday evening line-up for pre-teens and teens called “SNICK.” Though most of Nickelodeon’s programming included cartoons and game shows that involved many gallons of green slime, SNICK featured slightly more sophisticated fare, including a sitcom featuring an omniscient narrator called Clarissa Explains It All, a quasi soap opera about a girl who could turn into a puddle of silver goo called The Secret World of Alex Mack, and a Saturday Night Live style sketch show called All That. I was a devotee of Nickelodeon’s Saturday night lineup, which was surprisingly high quality; many SNICK veterans have gone on to success in movies and on other television programs, including Saturday Night Live. 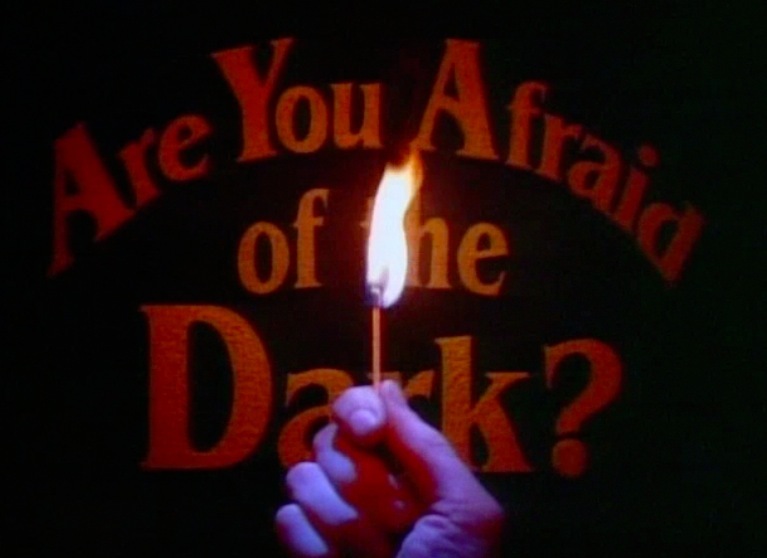 One show in the Saturday night lineup that I refused to watch, however, was a program called Are You Afraid of the Dark? As far as I can tell (I never actually watched a whole episode), Are You Afraid of the Dark? featured a group of teenagers who called themselves “The Midnight Society” (even though the show was on at 9:30) and met in a secret location every week. Gathered around a campfire, one member of the group would tell a scary story, which would be depicted by actors for the television audience. Most of the stories were adaptations of fairy tales or urban legends and probably weren’t all that scary, but the very idea of the show terrified me. I couldn’t understand why any group of sane people would get together and try to frighten one another. The show’s title asked whether I was afraid of the dark; my answer was an unequivocal “yes.” I was afraid of the dark and everything that could potentially happen in the dark. One of the services traditionally associated with the Wednesday in Holy Week is Tenebrae, which comes from the Latin word for “shadows.” It’s one of the more unusual services of the Church, and features readings from the Lamentations of Jeremiah, the letter to the Hebrews, and a treatise on the Psalms written by Saint Augustine. The most conspicuous feature of the service is the gradual extinguishing of candles and other lights in the church until only one candle remains. As we prepare our hearts for the final days of Holy Week, the church is gradually shrouded in darkness and shadow. This process is symbolic of the gathering darkness, the fact that forces are beginning to conspire to put Jesus to death. Tenebrae seems to say that if ever there was a time to be afraid of the dark, it would be now. And yet, even at the end of the service, when the entire church is covered in darkness and we are anticipating Jesus’ betrayal and death, a single candle burns. I’m always amazed how much light that single candle casts; it illuminates the faces of those who have gathered to face the darkness and steels their resolve. That single candle reminds us that even when we feel that all hope is lost, even as Jesus gasps for life on the cross, there is hope. That single candle reminds us that even when our world seems to be crashing down around us, the faintest glimmer of hope can give us courage and sustain us. Even in the despairing final days of Holy Week, there is a whisper that reminds us we can hope for new life and transformation. Last week was the late Fred Rogers’ birthday. Though he needs no introduction, Mr. Rogers was a beloved television personality who hosted a popular children’s show called Mr. Rogers’ Neighborhood on PBS for more than 30 years. Even by the standards of children’s programming on PBS, Mr. Rogers’ show seemed impossibly wholesome. Every episode began the same way: after Mr. Rogers entered his home, singing his theme song, “Won’t you be my neighbor?”, he changed into sneakers and a zippered cardigan (all of which were hand knitted by his mother). During the course of the show, Rogers would earnestly talk to his audience, interview live guests, take field trips to places like bakeries, and visit the “Neighborhood of Make Believe.” Fred Rogers was so wholesome that he made Sesame Street look like Homicide:Life on the Street. We might wonder why Mr. Rogers is so beloved. Some, pointing to his anachronistic approach, might claim that people are attracted to him because he seems like a product of a bygone era and represents something we wish we could still be. The problem with this analysis is that it idealizes the past (always dangerous) and ignores the fact that most people are mocked if they act like it is still 1953. 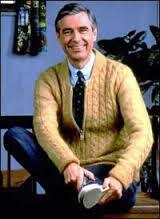 Others might point to his genuineness: Fred Rogers behaved the same on-screen as he did off-screen. While this is certainly a quality that will earn people’s respect, it does not necessarily lead to admiration. After all, someone who is a jerk in public and a jerk in private could also be respected for his genuineness. Mr. Rogers’ appeal is far simpler and far deeper: Fred Rogers believed that his primary responsibility in this life was to love others. He went through every step of his life believing that everyone deserves to be loved, no matter who they are or where they come from or what they have done. He didn’t do this with an agenda in mind. His love for other people was never conditioned on a desired response or behavior. Mr. Rogers loved without the expectation of results. There is no question in my mind that Fred Rogers’ love for other people was shaped by his faith in the God who loved to the point of death. As a Presbyterian minister, Mr. Rogers understood the deep logic of the atonement, the deep logic of the cross, the deep logic of the events that we commemorate this week: God loved us so much that God became a human being who was willing to suffer and die on the cross, even though he had been abandoned by those closest to him. This love was unconditional; Jesus did not say, “Never mind” and turn back after Peter’s denial. God loves us with a self-emptying, self-giving love that has the power to transform the world. As we meditate on the events of Holy Week, we are called to put this love into practice, to love our fellow human beings without any expectation of reward, and to see everyone in the world, regardless of who they are, as our neighbor. The other night, I watched James Lipton interview Tina Fey on Inside the Actor’s Studio. Though Fey has had a dazzling career as a star of Saturday Night Live and 30 Rock, a published author, and an erstwhile movie star, she got her start at Second City, a comedy troupe based in Chicago. During the course of their conversation, Lipton and Fey discussed some of the finer points of improvisational comedy, including the guidelines that govern it. Perhaps the two most important “rules” of improv are 1) agree and 2) don’t say “yes,” say “yes and.” The first rule ensures that every participant in a scene respects what her partner has created. If my improv partner says, “Check out this apple,” the scene would not be particularly successful if I said, “That’s not an apple!” At the same time, the scene will stagnate with mere agreement. This is where the second rule comes into play; the agreement of the first rule presupposes a contribution on my part. If you began a scene by saying, “It sure is hot in here,” and I simply said, “Yes it is,” there is not much room for development. If, however, I responded by saying, “That can’t be good for all of these wax figures,” the scene now has direction. As Lipton and Fey discussed the importance of these rules, Tina made an interesting point. These improvisational guidelines permit an actor to be completely focused on the other person in the scene, allowing him to forget all about his own preoccupations. These rules allow participants in improv to abandon self-consciousness and be entirely available to and totally focused on another person. Christ Jesus, though he was in the form of God, did not regard equality with God as something to be exploited, but emptied himself, taking the form of a slave and was born in human likeness. Being found in human form, he humbled himself and became obedient to death, even death on a cross. These words describe the actions of someone who is utterly focused on other people, willing to sacrifice his own glory and abandon his self-consciousness for the sake of world. Paul uses this hymn to illustrate the depth of Jesus’ self-giving love and also to encourage us to aspire to Jesus’ example of selflessness and humility. If Jesus Christ did not exploit his equality with God, we cannot exploit the fact that we have been made in the image of God. Rather, we must selflessly give to those who have need, focusing entirely on others, and by doing so abandoning our self-absorbed lives. In many ways, this is what we are meant to do during Holy Week. By focusing totally on the passion and death of our Lord, we leave behind any sense of self-interest or self-consciousness. By focusing entirely on Jesus as he walks the way of the cross, we can give ourselves completely to our fellow human beings and to the God who loves to the point of death, even death on a cross.